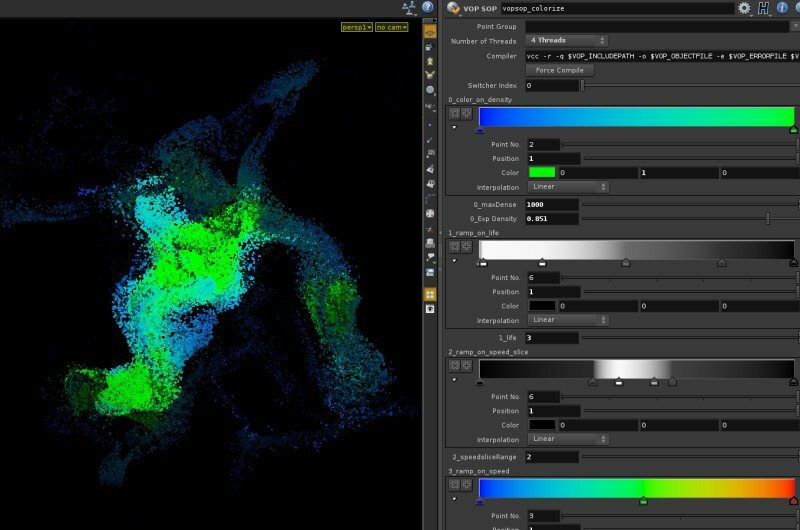 once, i had to create a growing particle wave, eating up an environment. i’ve used softtransform node with option “keep visualization in geometry” to quick a quick and easy circular mask and used it on noise. for emission of the particle i need just growing part (difference from frames to frame). i’ve just subtract the emitter geo from previs frame to get only the growing part. i just had a little fun with particles and AOV renderings. 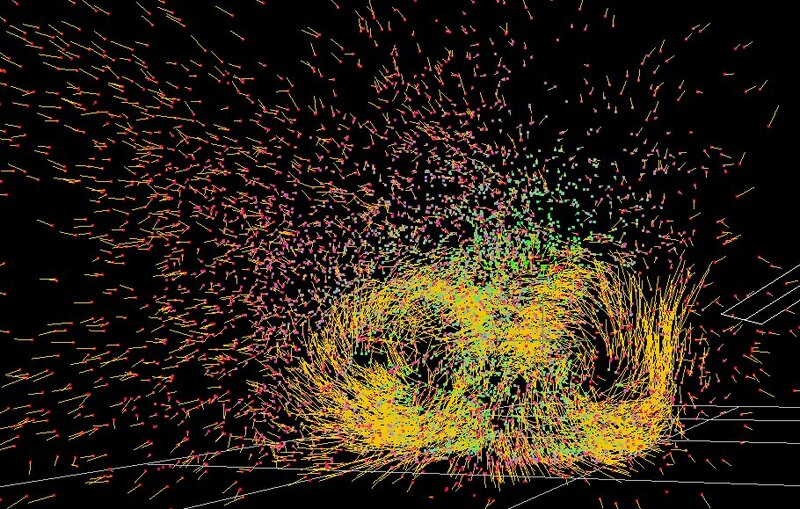 i’ve cached out a simple particle simulation. after i’ve created a shader with different AOV output’s, like speed, density, pressure etc…. this shader can do a nice sparkling or glitter effect. the AOV are also visible in houdini opengl for realtime feedback. the best things is the spec color are baked into attr, so its fool-proofed for stereo rendering. now i’ve played in nuke to create a interesting looking effect. 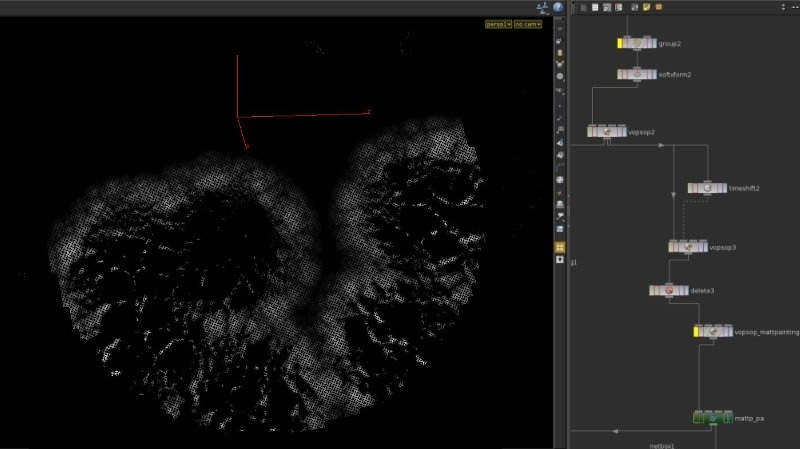 if you come from maya fx field the first thing you will miss is a kind “volume axisfield” from maya.in houdini there always more then one way to get to the desired result. the simplest way to use metaballs. i’ve use a cycle primtive to copy metaballs (copy-node) to get torus shape. no just need add force node to copy sop and use the attractor inside the pop network. with correct settings it will create nice swirling motions like in this example. 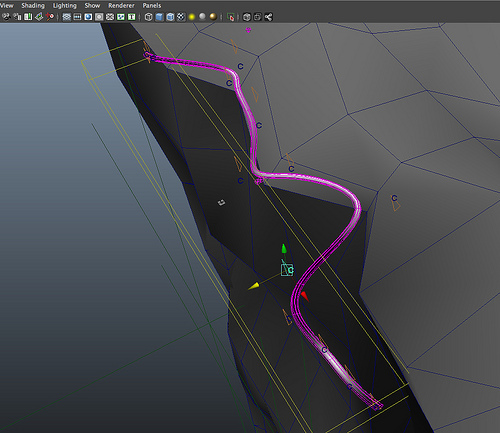 this methods is nore flexible then volume filed in maya. the force can any shape build form metaballs. its not fastest methods but most situations, its good enough.